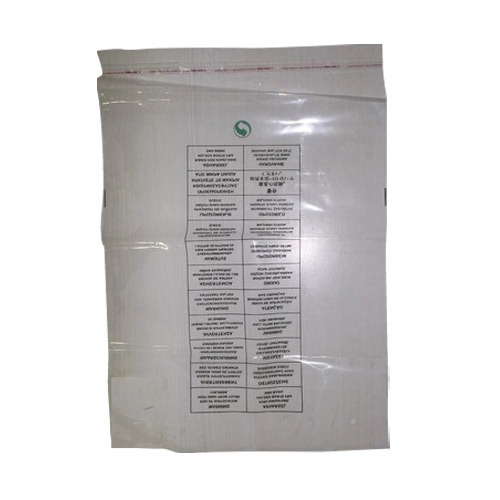 Our name is enlisted amongst reputed manufacturers and suppliers of wide range of Vent Hole Bags in the market. We offer these to our client as per the industry standards and are known for their efficient working. We source the best quality material for manufacturing them. We offer this product at affordable rate. Our firm, Kiran Polyplast is situated at Rajajinagar, Bengaluru, Karnataka, India. It came into existence in the year 1999 as a sole proprietorship firm has since remained into business as a prominent and leading manufacturer and supplier of Polyethylene Bags, LDPE Bags, Plastic Medical Bags, UV Coated Bags, Packaging Bags, PVC Bags, Plastic Bags and Food Pouches. Our products are known for effectiveness, superlative performance, flawless finish, hassle-free work performance, high tensile strength, long functional life, accurate results with striking designs and is highly spacious with durable finish made from high grade materials.All the products are quality tested and are well accepted by the clients owing to our efforts of providing products of the best quality at all times since the last 14 years of firm’s existence.Under the entrepreneurship command and abilities of our mentor, Mr. Ketan Vipani & Ms. Jayna Vipani the firm has made a marked progress.